Apostrophe Catastrophes: It's Just a Sandwich with Stripes! "Vegetarian panini" - this about sums up the choice we have! Now, it's been ~25 years since my last Latin class. 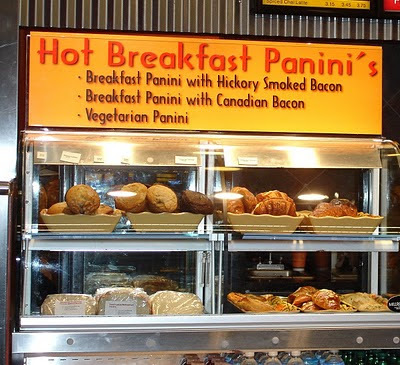 But if, as I suspect, the singular of "panini" is, in fact, "paninus", I will regain a great deal of respect for the Latin language.